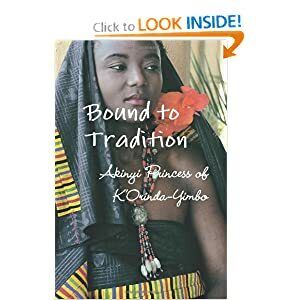 Bound to Tradition is a literary African novel by a most promising African woman writer, Akinyi Princess of K’Orinda-Yimbo (her nonfiction Darkest Europe and Africa’s Nightmare: A Critical Observation of Neighboring Continents was acclaimed in literary circles as “Book of the Millennium” in 2008). The story takes place between 1952 and 1978. BTT is an unabridged version of the German translation that was published by Droemer-Knaur. I loved the poignant style and picturesque dialogue – African/Luo as well as contemporary. This is a feat that only an accomplished writer can achieve so effortlessly without leaving the reader in doubt of what is meant. One is not only eagerly, glued to the pages, a smile on the lips and a tear in the eye but also transported to another realm of humanity. I’ve attended her readings to schoolchildren, women’s groups and the public in general at exhibitions. The princess could do a whole hour without the kids fidgeting. The adults want her to continue reading even after the break before discussions. Awesome. Then kids and grownups alike ply her with questions on Africa, Kenya, Luos and the characters in the novel. The author admits that there are autobiographical elements in the novel – BTT being the first volume of a trilogy. In the consulting room she was undressed and helped onto this funny bed. A moment later, to her utter horror, a man walked in. "Goodday, Mrs Lindqvist. I'm Dr Carlsson." She didn't shake the offered hand nor return the greeting. Instead she whispered hoarsely to one of the nurses, "What's this man doing here?" "This is Dr Carlsson, Mrs Lindqvist," the nurse smiled, stroking her cheek as if she was a pet. "I didn't come here to see Dr Carlsson, I came here to see a gynaecologist!" she whispered again even more hoarsely, in anger. "Dr Carlsson is the gynaecologist, Mrs Lindqvist" said the nurse. She hissed again in her hoarse whisper, "My dear nurse, what’s the matter with you? Are you blind or are you crazy? Dr Carlsson is a man!" She was humiliated beyond her comprehension. She felt like a helpless victim of some savage tribe's grotesque rituals, laid out and held on an altar of some evil gods, being defiled for them, a pregnant sacrifice. The heroine Khira is a sympathetic young woman very representative of young Africans who try to run away from their traditions and bump into modernity, yet bounce back to who they truly are. One’s tradition and cultures, so the message, cannot be shade off completely. Rather, one is best advised to be a chameleon and blend in with the reigning environment while remaining in essence the creature one is deep in the core. Khira is a heroine all or most young Africans will easily sympathise and identify with. But there will be those who will shake their heads in disapproval or disbelief. Like Khira’s acceptance of her husband’s sexual dalliances – “A man may do what he likes in this respect; he’s only a man!” As opposed to women who are “deities” guarding the planet, upholding the morals of humankind. This is a book with the message on the passenger seat while the story does the driving, the steering. I highly recommend it. Ideal as a (Christmas) present for families, friends and relatives. I went to a public school in Yorkshire, England, then finally graduated as a journalist (the London Schools of Journalism) as well as an economist (the London School of Economics) with firsts. In Germany, where I live, I studied Germanistics and Germanspecific economics. I’ve been writing as a freelance journalist since 1980, columnist with various dailies and monthly magazines in Africa and Europe and I also give lectures and seminars in various German universities, colleges and high schools on topics ranging from socio-economy in Africa, Business English, African literature and the socio-ethnological conflicts in the traditions of Africans and Europeans in particular, and the West in general. I have written and published articles, papers, books and a novel in German: Khiras Traum. My non-fiction book “Darkest Europe and Africa’s Nightmare: A critical Observation of the Neighbour Continents” was published in 2008 by a New York publisher. I’m a columnist with African Times and an editor with AuthorMe.com, a platform for emerging writers. My full CV is on my website - www.akinyi-princess.de. OFFER: From November 1 (her birthday!) 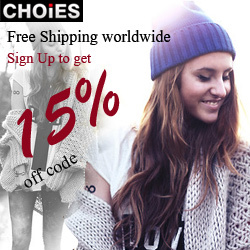 through New Year, there’ll be 25% discount on all orders from her website. Also all books ordered from her website will be signed by the author. http://www.lulu.com/product/paperback/bound-to-tradition/13039284. European and African readers can also order directly from her website: http://akinyi-princess.de/326/Home/Book_Order.html. There's a File Download at http://www.lulu.com/product/file-download/bound-to-tradition/13039285. The sequel to Bound To Tradition – The Separation – will be published in Winter 2011/2012. What an intriguing book - I saw that the author wrote quite a number of books, some of them really interesting to me (I studied Cultural Anthropology). I also find it great that she has a Forum on her website to interact with readers - I wish more authors would do that! I got a 404 error when I went to the page. :( So, I googled her instead! LOL. It said that she speaks seven languages, and likes horse riding. She has some great academic accompishments too. Just to let everybody know that the website www.akinyi-princess.de is active again since 14:55 hrs CET 25/9/2011. Click, browse and enjoy! She has a son and lives in Bavaria! BOUND TO TRADITION is Khira's story of stepping out from traditions, but being drawn back into them at the same time. Fascinating!! Such an amazing story to read. I like to read this type of history. After visiting the website and reading about the author, I learned that she is multi-lingual. Please accept this as my mandatory entry. Thank you! I learned that Khira's Traum is the title of one of her German novels! Dang...I learned that the author speaks six languages! Wow...da's cool! I learned the chateau is for sale!